That is a lesson that Aribo can certainly relate to. 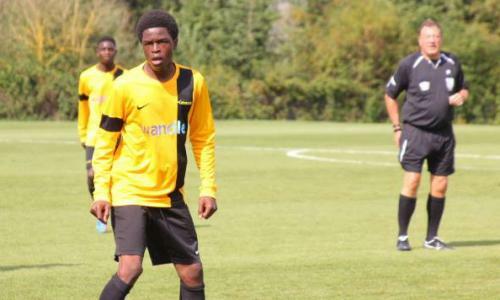 Having progressed through Kinetic’s youth sides, he was signed by former Wimbledon striker Marcus Gayle for non-league side Staines Town at the age of 19 before finally being snapped up by Charlton a year later. He has since become a regular first-team player at the Valley and has even been compared to Patrick Vieira and Dele Alli by former manager Karl Robinson. Kinetic now run teams from under-12s to under-19s and have more than 100 boys on their full-time programme for 16-18 year-olds, which sees them play football six days a week and complete 12 hours of education. Students are offered a full range of qualifications in partnership with nearby Woodcote School – from entry level BTec up to A-levels – while Hudson, 29, estimates that a series of community projects which also include a new netball scheme allows them to reach up to 700 young people a week in an area which has been blighted by knife crime in recent years. Hudson estimates that more than 90% of his players come from disadvantaged backgrounds, with many having been released by professional clubs somewhere along the line. A partnership with local non-league side Croydon FC that allows young players the opportunity to prove themselves in senior football has also helped to attract prospective talent, as has Hudson’s role as manager of Isthmian League South East Division side Whyteleafe. But while delighted with the success of Aribo and that of Maja, who spent 18 months at Kinetic after he was released by Fulham at 15 and is now wanted by several Premier League clubs, Hudson admits Kinetic actually lose money when a player joins a professional club because they rely heavily on funding from educational grants.